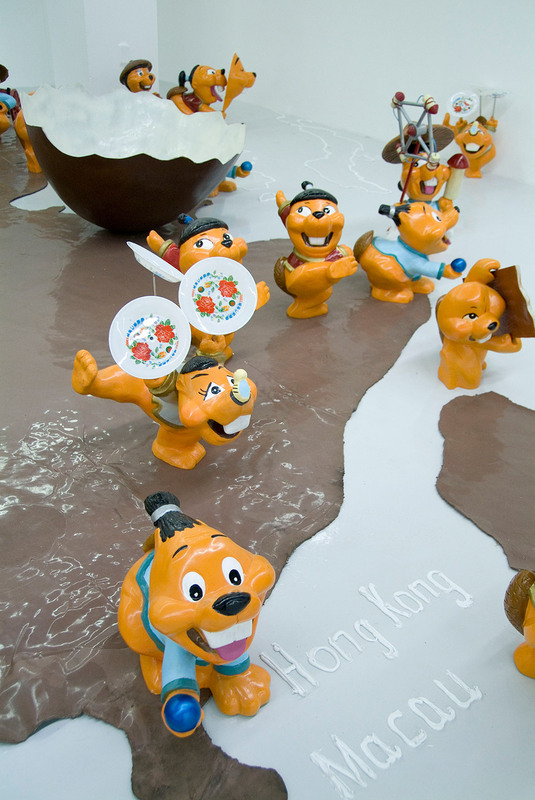 dslcollection » Shen Yuan – The Dinosaur’s Egg: A Kinder Surprise Installation. Shen Yuan – The Dinosaur’s Egg: A Kinder Surprise Installation. 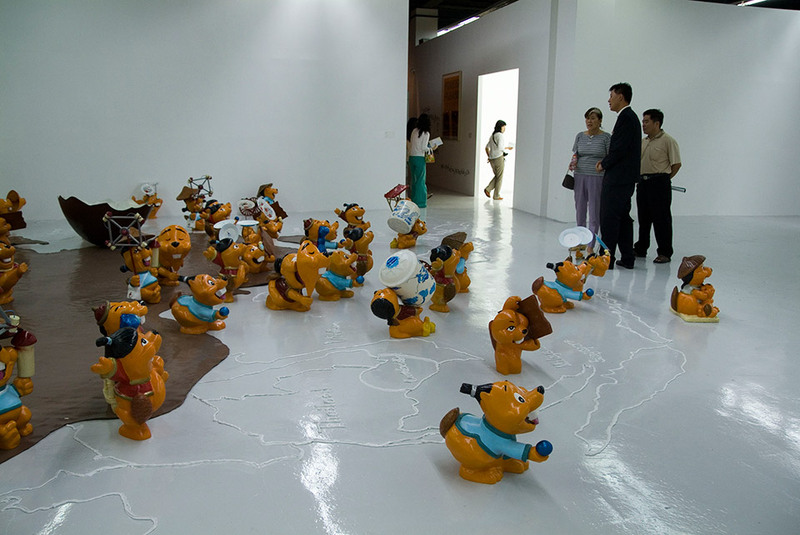 61 little figurines positioned over a large map of China (800x500cm). Inspired by children’s toys and the popular chocolate, Kinder Sur- prise, Shen has created an endearing instal- lation with much deeper social relevance. A large chocolate egg stands at the back with its top cracked open: this symbolises birth. The chocolate melts away onto the black soil of Chinese land. 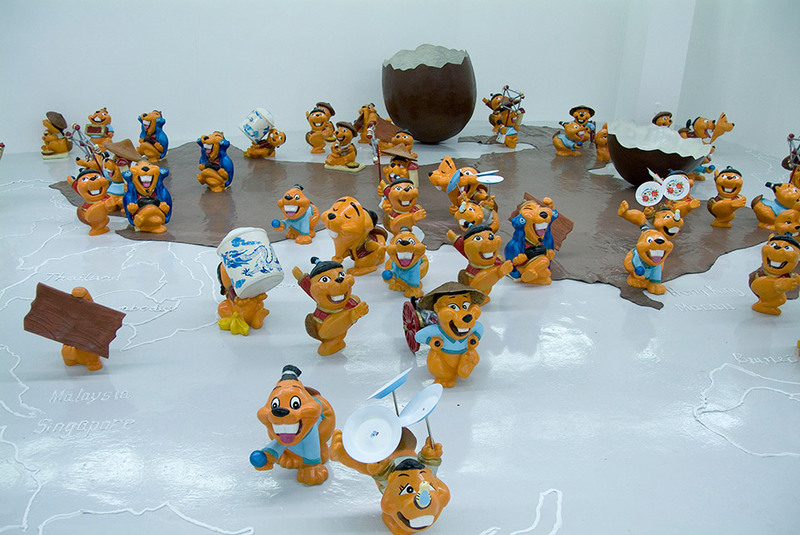 Little, sweet figurines dressed in typical Chinese costumes, are seen running away from the chocolate egg. This is the artist’s analogy for the issue of Chinese immigration.